There is so much in the news about Vancouver’s housing crisis – unaffordable rents, no vacancies and reno-viction notices. Having a safe, secure and affordable home is one of the most basic needs, which helps people to feel a sense of belonging and well-being. Many in our community lack this basic right. On a daily basis, Tikva administrator Anat Gogo hears about people looking for affordable housing. Thanks to the generosity of donors, Tikva has two residences that are fully occupied – Dany Guincher House and the Diamond Residences – and soon to open is the Ben and Esther Dayson Residences in the Fraserview district. These 32 new townhomes include two-, three- and four-bedroom units and, in adjacent towers, there is a common room where tenants will be able to gather for special events like Shabbat dinners and holiday celebrations. In addition, more than 35 individuals and families are supported through the Esther Dayson Rent Subsidy Program. Alice Sundberg, director of operations and housing development at Tikva, said the need to continue to increase “inventory” is constant. For more information and to find out how you can help, contact Tikva Housing at 778-998-4582 or visit tikvahousing.org. 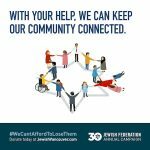 Jewish Federation of Greater Vancouver’s annual campaign has a brand new look this year, one that will hopefully convey an important message to the community. “We’d exhausted photographic resources we’ve used in past years and things weren’t looking fresh anymore,” said Alvin Wasserman, a volunteer on Federation’s working cabinet. Illustrator Paul Gill created the illustration, a Star of David comprised of a community where a couple of people are falling off the edge of one of the triangles. “It describes the issue in a really interesting manner,” said Wasserman, who worked with a creative team that included Kelsey Dundon, Camilla Coates and Becky Saegert. The video in honour of Federation’s 30th anniversary, which was screened at the campaign launch Sept. 13, was produced by Eli Gorn. 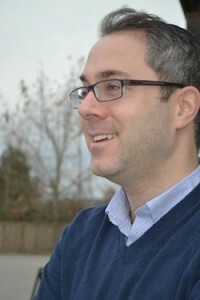 For more information, to watch the video or to donate to the campaign, visit jewishvancouver.com. We are taught from an early age that giving, repairing the world and being kind are the tenets of living a Jewish life. In our community we don’t have to look very far to find people who fit this description. One of the latest projects that has come to fruition is the Diamond Residences in the Storeys complex in Richmond. Thanks to the generosity of the Diamond Foundation, Tikva Housing Society now owns 18 (chai!) units that are being rented at below-market rates to people in the community for whom stable, safe housing was unpredictable and unaffordable, at best. Tikva Housing partnered with four nonprofit societies and the City of Richmond to build these and other apartments. 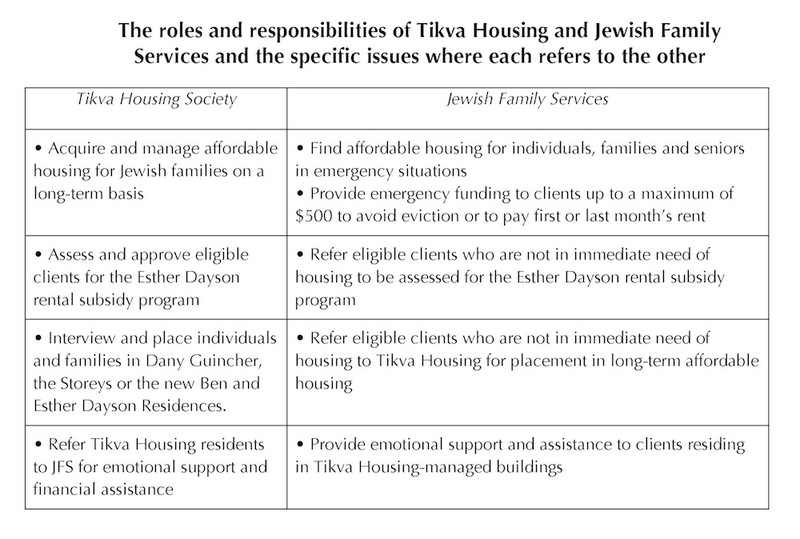 Tikva worked hand in hand with community agencies such as the Jewish Family Service Agency to place tenants in need in these units, as well as with the Jewish Federation of Greater Vancouver and B.C. Housing. Most of the tenants will have moved into their units by the end of this month. The Diamond Residences will house six singles and, of those, five are seniors. Also, 12 families and a total of 22 children will be living there. One 83-year-old woman cried when she was told she would be moving into a studio unit, as she has not had a place to live for years and was sleeping on someone’s couch. A single Israeli mother with two children is moving into a three-bedroom unit; her kids have never had their own rooms. Another single mother with three children has been sharing a two-bedroom place and has not had her own room in two years. One family has moved to Greater Vancouver from out of town and can now attend Shabbat services, be close to their family and the Jewish community. There are many more such stories. Simon Fraser University recognized four distinguished alumni on Sept. 13 at Four Seasons Hotel. Among them was Gary Cristall, co-creator of the Vancouver Folk Festival. The annual awards, presented by SFU and the Alumni Association, recognize those whose accomplishments and contributions reflect the university’s mandate of engaging the world. An advocate for the arts and human rights, Cristall has been a cultural groundbreaker, having co-founded the Vancouver Folk Music Festival in 1978. 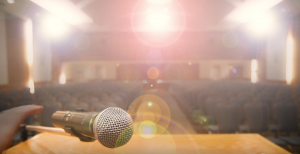 In an industry plagued with an unscrupulous reputation, Cristall has been instrumental in fighting for the rights of artists to be treated professionally and with respect while also defending their rights to fair performance fees and copyright ownership. Cristall served as acting head of the music section of the Canada Council for the Arts and was the founding president of the Public Service Alliance of Canada, the first union at the Canada Council. Today, Cristall continues to serve as a prominent mentor and educator, assisting artists in building their careers and guiding communities in enhancing dynamic cultural interactions that enrich and benefit a healthy, democratic society. After a grueling 33 hours of programming, DragonFruit – Benjamin Segall, Jacy Mark, Viniel Kumar and Pritpal Chauhan – completed StoryTree and demonstrated it live to a panel of judges at Hack the North, an international student hackathon held at the University of Waterloo in Ontario, which this year took place Sept. 15-17. Canada’s biggest hackathon, Hack the North was founded and is organized by Techyon, a student-run nonprofit organization, in partnership with Waterloo Engineering. The event brings together 1,000 students from top universities across 22 countries in the world. Students collaborate and create impactful new hardware projects or mobile and web applications of their own design for a weekend at the University of Waterloo, all expenses paid. DragonFruit’s StoryTree was one of the 14 projects chosen out of the more than 250 demonstrated at Hack the North. StoryTree is an online workspace for aspiring authors to collaborate on books together. All you have to do is write a paragraph or a chapter, or even just a sentence, and, as more and more people add or branch off from a story, that story you’ve always wanted to write becomes a reality. DragonFruit will be continuing the project and are looking for alpha testers for January 2018. If anyone is interested in being a part of this project or for more information on it, contact them via facebook.com/dragonfruitcode or dragonfruitcode.com. 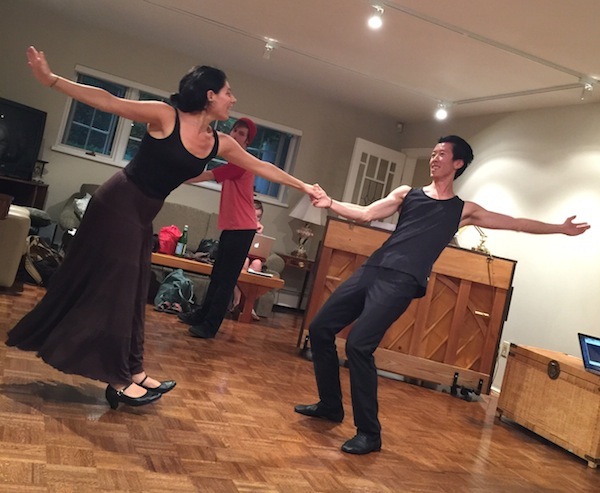 Rehearsals have started for Two Views from the Sylvia, a new musical theatre production by Kol Halev Performance Society. This original production – which will be at Waterfront Theatre Nov. 8-12 – tells the story of the iconic Sylvia Hotel and its historic connection to the local Jewish community and the city of Vancouver. Two Views from the Sylvia comprises two one-act plays. The first play, Sylvia’s Hotel, is set in Vancouver in 1912. It brings to life the origin of the Sylvia Hotel, named for Sylvia Goldstein (Ablowitz) and the story of the Goldstein family who built it. Young Sylvia Goldstein and the legendary Joe Fortes, the beloved English Bay lifeguard, develop a bond that helps Sylvia realize her dreams. In the second play, The Hotel Sylvia, the story continues as we meet the characters whose lives and loves became interwoven with the story of the Sylvia over her 100-year history. It includes vignettes revealed to the production’s researchers by Huguette, the front desk clerk who worked at the Sylvia for 35 years. Jewish community members play key roles in both plays. In the lead roles are Advah Soudack (as Sylvia) and Adam Abrams (as Abraham Goldstein); Anna-Mae Wiesenthal and Joyce Gordon are cast in important supporting roles. Behind the scenes are Sue Cohene (producer) and Heather Martin (associate producer), as well as Gordon (assistant producer) and Abrams (graphic designer and webmaster) and Gwen Epstein (production team). Marcy Babins and Michael Schwartz collaborate in their roles at the Jewish Museum and Archives of British Columbia, which has created an historical photo display to accompany the production. Two Views from the Sylvia is a project of Kol Halev in partnership with the B.C. Arts Council, Government of British Columbia, City of Vancouver, Granville Island Cultural Society, CMHC Granville Island and the JMABC. For information and tickets ($28), visit sylviamusical.com. Bema Productions’ Victoria Fringe Festival play Horowitz and Mrs. Washington was a great success. All seven performances at Bema’s Black Box Theatre at Congregation Emanu-El were sold out and the production company’s work was once again as one of the best dramas in the Victoria Fringe. Mrs. Washington is hired to nurse Sam Horowitz, who’s been mugged and had a stroke. She’s a determined tyrant and he’s a bigoted Jewish widower. The two must find a mutually beneficial relationship when his daughter tries to make him leave his home. The play by Henry Denker reflects the attitudes of the 1970s and illuminates the power to be found in ordinary lives. 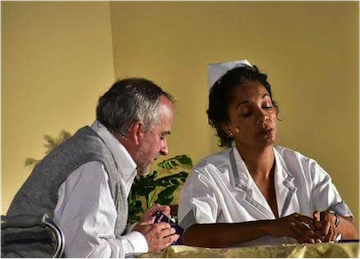 “The electric performance of the actors enabled the audience to visit uninhibitedly the issues of racism, stroke recovery and aging in place,” reads the review “Bravo Bema!” on Emanu-El’s website. The Bema production was directed by Zelda Dean and Angela Henry and was performed by David Macpherson, Rosemary Jeffery, Christine Upright, Alf Small, Cole Deo and Graham Croft. 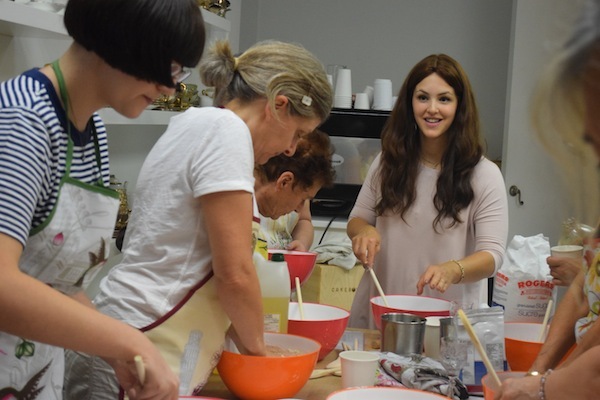 Chabad North Shore hosted a challah bake at Mia Claman’s store in West Vancouver on the night of Sept. 6. Miki Mochkin taught a class on baking challah to local women. While the bread was rising, she explained the significance of each ingredient for Jewish women. From the sweetness of the honey to the harshness of the salt, every element serves to remind the baker of its symbolic role in our lives as women and mothers. In the photo, left to right, are Congregation Beth Israel Rabbi Jonathan Infeld, King David High School head of school Russ Klein, Vancouver Catholic Diocese Archbishop Michael Miller, Vancouver Police Chief Constable Adam Palmer, B.C. Court of Appeal Justice Sunni Stromberg-Stein and MLA Andrew Wilkinson. 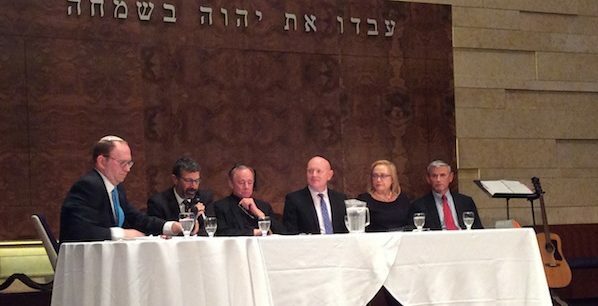 On Saturday night, Sept. 16, at the synagogue, this panel of speakers took on the topic Our Leaders: Are They Above the Law? Infeld framed the contemporary discussion around a talmudic discussion regarding an important rabbi in a community, rumours surrounding his conduct and whether the rabbi should be excommunicated. The panelists took this starting point to talk about their own professions, present-day accountability standards and various other issues. Vancouver is in the throes of an affordability crisis. It’s in the news, provincial politicians are talking about it as they campaign for the upcoming election, the city is implementing new taxes, but does anyone have the solution? The Jewish Federation of Greater Vancouver decided it would seek some answers. On March 29, the first-ever Federation-sponsored Affordability Summit took place at Temple Sholom. Attended by more than 60 individuals, including New Democratic Party members of the legislature Selina Robinson and George Heyman, the goal was to give direction to Federation’s planning around affordability and being Jewish in Vancouver. The evening, introduced by Temple Sholom Associate Rabbi Carey Brown, raised the pressing issue about why the Jewish community needs to deal with affordability beyond the basic human issues. “This evening stemmed from the awareness that we all feel affordability impacting the sustainability our community,” she said. The other reality, she said, is that as Jews become more geographically dispersed, they are no longer near Jewish infrastructure like synagogues, day schools and the Jewish Community Centre of Greater Vancouver, so their participation in the community diminishes. Participation in Jewish programming and activities is expensive in itself. Jewish community professionals are seeing a rise in requests for assistance for schools, summer camps and JCCGV activities. This also raises issues about the long-term sustainability of the community’s institutions if families cannot afford to live near enough to use them. The event’s keynote speaker, Richard Fruchter, executive director of the Jewish Family Service Agency, addressed affordable housing, food security and a steep rise in demand for food banks, and raised some suggestions for solutions, including universal childcare, affordable transit and some novel taxation changes. 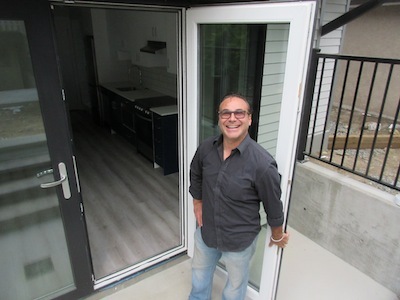 Eric Fefer, chair of the Tikva Housing Society board, said his organization is in the process of expanding the number of subsidized housing units in its portfolio, with 10 new units called Storeys (Diamond Residences) opening this summer in Richmond. Starting this fall, applications will be accepted for the Ben and Esther Dayson Residences, a project Tikva Housing is undertaking in conjunction with Vancouver Community Land Trust. The development will include 32 townhomes and apartments of two, three and four bedrooms. These homes, in the River District of south Vancouver, are expected to be available for occupancy in summer 2018. These new homes will provide families with subsidized housing in the vicinity of Jewish amenities, but Fefer acknowledged this increased supply doesn’t begin to touch demand. Following the event’s main session, breakout groups convened to discuss topics in greater depth. In addition to issues of food security and housing, affordable childcare advocate Gyda Chud presented solutions for universal childcare. A session on Jewish education was led by Daniel Held, executive director of the Julia and Henry Koschitzky Centre for Jewish Education in Toronto. He shared insights into the efficiencies Toronto is seeking in their Jewish education system to lower the cost of Jewish day school. 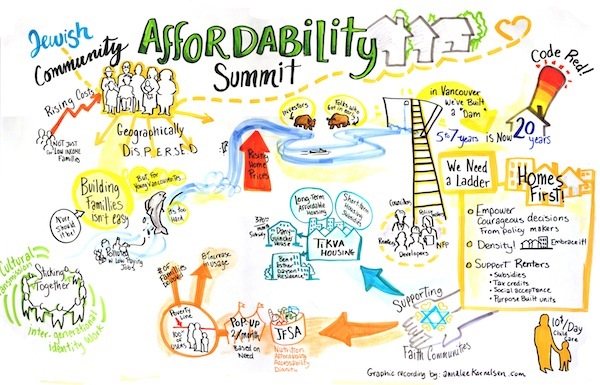 The Affordability Summit’s results were recorded by each breakout group moderator and then graphically represented by a talented artist who integrated the ideas for the group to see. Each group produced a few suggestions and this information will be used by the Federation’s planning council to help inform the way forward. For more information on how to become engaged in activities surrounding affordability in Vancouver, contact Shelley Rivkin, vice-president, planning, allocations and community affairs at Jewish Federation at [email protected] or 604-257-5192. Michelle Dodek is a freelance writer living in Vancouver and the president of the Hebrew Free Loan Association. הפדרציה היהודית של אזור ונקובר ממשיכה לקבל תמיכה רחבה לאור החלטתה לקיים את המופע של הזמרת אחינועם ניני, במסגרת חגיגות יום העצמאות. עתה מתברר שראשי הסוכנות היהודית בישראל שלחו אגרות ברכה לפדרציה על שהזמינה את ניני ליום העצמאות. יו”ר הנהלת הסוכנות, נתן שרנסקי, שלח אגרת אישית למנכ”ל הפדרציה, עזרא שנקן. שרנסקי מצדיע לארגון על פעילותו הענפה והישגיו למען הקהילה היהודית של ונקובר וכדי לתמוך בצורה איתנה בישראל. שרנסקי אומר: “באופן טבעי בישראל ובעולם הרחב יש הרבה דעות וויכוחים צורמים על הדרך הנכונה לשלום. אבל בשום מקרה איננו יכולים להרשות לעצמנו שהדעות השונות יחתרו ויפגעו בערכי הליבה שמאחדים אותנו, ברצוננו להגיע עתיד יהודי חזק עם מדינת ישראל יהודית ודמוקרטית במרכז. דווקא בימים קשים אלה כשאויבים מבחוץ שואפים לעשות דלגיטימציה לישראל, חייב להיות מקום למגוון דעות רחב”. לסיום דבריו מוסיף יו”ר הסוכנות: “כמו אחד שלעתים קרובות היה לו העונג להינות מהקול היוצא דופן של נועה בעלת הכישרון המרהיב, אני משבח את הפדרציה של ונקובר ואני יודע שחגיגות יום העצמאות שלכם יהיו נפלאות”. ואילו מנכ”ל הסוכנות, אלן הופמן, מציין באגרת שלו כי הסוכנות תומכת בפדרציה של ונקובר על שהזמינה את נועה להופיע ביום העצמאות. לדבריו: “קנדה וישראל חולקות את אותם ערכים דמוקרטיים המאפשרים מגוון רחב של דעות, כולל גילויים מגוונים של ציונות. דיאלוג כולל על ישראל הוא בליבה של מאמצי הסוכנות היהודית לבנות עתיד יהודי משגשג וישראל חזקה”. הפדרציה קיבלה כאמור אגרות תמיכה רבות על הזמנתה של ניני להופיע בוונקובר, בין היתר ממנכ”ל הפדרציה של ונקובר לשעבר, מרק גורביס, שמשמש כיום סגן נשיא בכיר של הפדרציות היהודיות בצפון אמריקה, ראשי הפדרציות היהודיות של קנדה ורבנים. שנקן אומר כי דברים מדהימים קרו בשבוע האחרון, בהם למשל ההכרזה ששגרירות ישראל והקונסוליה הישראלית יתנו חסות רשמית לאירוע יום העצמאות בוונקובר. שנקן: “הייתי בר מזל על כך שנפלה בידי ההזדמנות לדבר עם אנשים רבים אשר חולקים אהבה עמוקה למדינת לישראל, כולל חברים בקהילה שלנו, רבנים שלנו וראשי ארגונים יהודים ברחבי העולם. כל אחד מהם מראה בדרך המגוונות שלו כיצד הם אוהבים את ישראל, וכל אחד מראה באופן מדהים כיצד הם חולק את אותה אהבה לקהילה שלנו. אנו גאים בהם שהם תומכים בקהילה שלנו”. הפדרציה של מטרו ונקובר גייסה 8.3 מיליון דולר בקמפיין האחרון לשנת 2016. בפועל גיוסו כשלוש מאות אלף דולר יותר לעומת הקמפיין של אשתקד. בפדרציה מסבירים את החשיבות שבגיוס הכספים מהקמפיין: “יש להאכיל את הרעבים, לטפל בזקנים ולטפח את הדור הבא”. בפדרציה מודים לתורמים על המחויביות שלהם לקהילה, לערכים של חסד לתיקון עולם ולצדקה. תוצאות הקמפיין מאפשרות לפדרציה ולארגונים השונים להגיע לרבים יותר בקהילה ולהגיב בצורה יעילה יותר מתמיד לצרכי הקהילה. יו”ר הפדרציה, סטיבן גרבר, אומר: “העלות הגבוהה של החיים בוונקובר מגבירה את הקשיים של החברים רבים בקהילה להתקשר עם החיים היהודים, משתי סיבות עיקריות. או שהם אינם יכולים להרשות לעצמם לגור קרוב לתוכניות ולשירותים יהודיים, או אינם יכולים להרשות לעצמם להשתתף בהם. גיוס הכספים מתייחס לסוגיות כמו אלה, מאפשר לבנות קשרים בין חברי הקהילה לבין אזורי השותפות שלנו בישראל ומסייע ליהודים במצוקה ברחבי העולם”. The face of Vancouver’s Jewish community is changing, with 36% born outside of Canada – the largest percentage in any Jewish population in the country. In the Grade 1 classroom at Richmond Jewish Day School, half of the class is learning English as a second language, its students hailing from Israel and Argentina and speaking a mixture of Hebrew, Russian and Spanish. “There’s definitely a growing number of Israeli families in all our Jewish day schools,” said Abba Brodt, principal at RJDS. Among them is the second wave of Russian Jews, comprised of Russian emigrés who made aliyah as children and moved to Vancouver after doing army service in Israel and starting their families. “They maintain strong Russian ties but have an incredibly strong connection to Judaism and Israel,” he said. The new arrivals place extra demands on Jewish day schools in terms of meeting their children’s language needs, and RJDS has had to shift resources internally so the children of new immigrants can learn successfully in class. 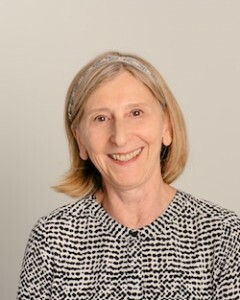 At Vancouver Talmud Torah, head of school Cathy Lowenstein has also witnessed an influx of new immigrants from Israel, as well as from Brazil, Estonia and Hungary. “For students in the younger grades, ESL support isn’t as much of an issue, as they can really immerse themselves in language much faster than students in intermediate grades. But, over the past few years, we’ve increasingly had to allocate budget to students who require ESL support,” she said. That can be difficult because the ESL needs vary year by year. “Often, these students don’t present until late summer, so we’re left trying to reallocate dollars in August so that we can properly help them transition into the school,” she explained. Tuition assistance is provided on a case-by-case basis, Lowenstein said. “Even though we may have allocated our cap, we do our very best not to turn away a family wanting a Jewish education,” she said. The high cost of living in the Lower Mainland is having far-reaching effects on the 26,250 Jews who call this corner of the West Coast home. Approximately 14,000 of them live in Vancouver, close to 6,000 in Richmond and the remainder in outlying cities including Burnaby, New Westminster, Port Coquitlam, Coquitlam, Port Moody, Maple Ridge and Langley, where Jewish resources are few and far between. That’s because the high price of housing forces many new arrivals into these outlying areas, where accommodation is a little more affordable. While RJDS has space available for more students, the challenge lies in reaching those Jewish families who live in the suburbs. 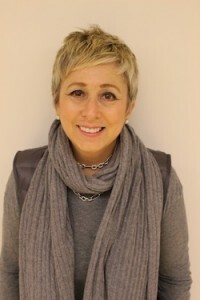 At the Jewish Federation of Greater Vancouver, vice-president of community affairs Shelley Rivkin noted that more than 850 children now live in underserved areas beyond the borders of Vancouver and few are receiving any Jewish education. “With community support, Jewish educators can develop innovative programs via which these kids can access that education, sharing fully the richness of our traditions and strengthening their Jewish identities,” she said. In one such program, Federation collaborated with the Jewish Community Centre of Greater Vancouver and funded a pilot project to enable Jewish children living in Coquitlam, Port Coquitlam and Port Moody to attend Jewish summer day camp. The project made transportation and fee subsidies available to 22 kids. Federation is seriously focused on the future of the Lower Mainland’s Jewish community and anticipating programming to reach its needs over the next 15 years. The cost of living in Vancouver will likely continue to impact those who pay a premium to live near Jewish services and institutions, but find that the cost of Jewish life prevents them from participating. “We expect that increased subsidies for program participation will be needed,” she added. According to the National Housing Survey in 2011, 16% of the Lower Mainland’s Jewish community lives below the living wage of $36,504. Among Jewish immigrants to the Lower Mainland who arrived between 2005 and 2011, that low-income rate is 25%. As one communal effort in dealing with this issue, Tikva Housing Society will expand the affordable housing stock for the Jewish community by 42 additional units in Vancouver and Richmond by 2017. Lauren Kramer, an award-winning writer and editor, lives in Richmond. To read her work online, visit laurenkramer.net. A longer version of this article was published in the Canadian Jewish News.